Though it’s typically full, it’s rare to see a line outside of Versailles restaurant in Miami. It’s only on the rare cold night that it actually reaches capacity, especially when there’s a run on churros. Any day that dips below 65 becomes an impromptu holiday in a summer town, a Miami snow day of sprinkled sugar and fried dough. 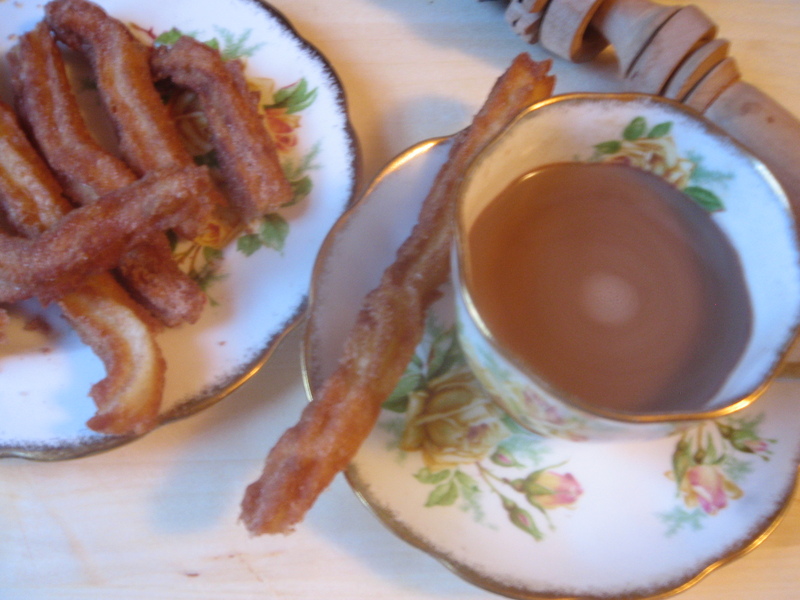 The lines form and the usual late night orders for medianoches and mariquitas become churros and hot chocolate. I think it’s the special occasion quality I associate with churros that keeps me from buying them in New York (though I’d never pass them up in Madrid – I’m not crazy). Yesterday, deciding I needed a little Christmas now, I brought out the churrera, that my mother who hates to cook but loves kitchen gadgets sent, and my monster of a deep fryer to make my own. Churros go from blisteringly hot to too lukewarm in a few seconds, like a puppy that growls first then licks your hand, so it was great to have them fried, sugared, dipped and eaten straight away. Making it snow in my apartment was easier than I expected, and I’m looking forward to having friends over for churros and chocolate over the chilly months ahead. I loved the churros but missed the crowds. Adapted from Nitza Villapol’s Cocina al Minuto. 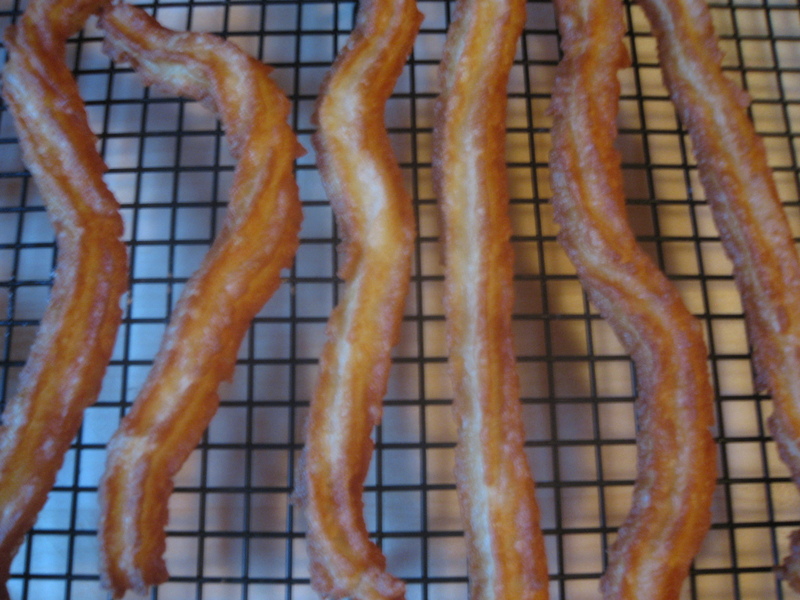 I looked at a few different recipes for churros, usually a straightforward flour and water mixture with a little salt, similar to pâte à choux pastry dough. Villapol’s recipe combined equal part milk and water with a little added butter and had a slightly creamy texture that I really liked. This time I stuck to a simple cinnamon and sugar mixture to cover, but plan on trying flavored oils and filled churros next. In a heavy saucepan, heat milk, water, butter and salt over medium-high heat until it just comes to a boil. 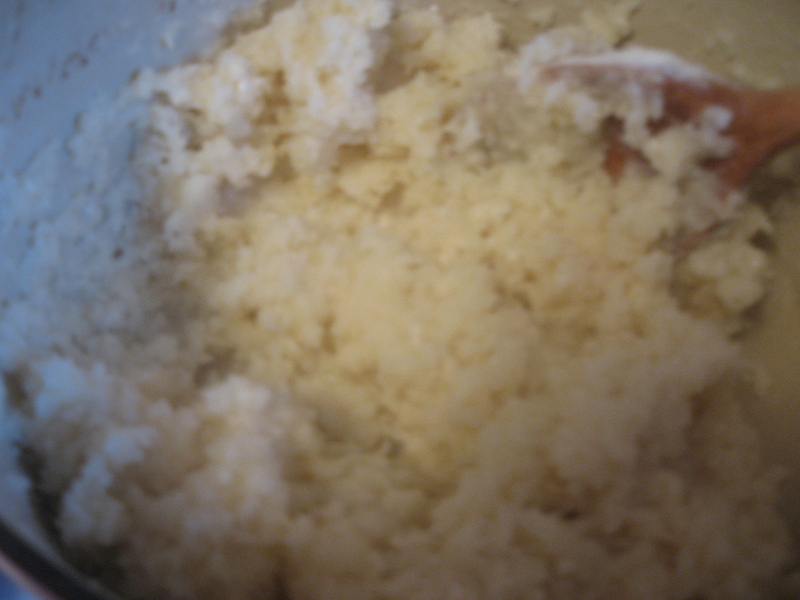 Off heat, add all of the flour at once and beat with a wooden spoon until blended and mostly smooth. Set aside to cool slightly. Line baking sheet with parchment paper or non-stick liner. Fill the canister of the churrera or pastry bag fitted with large star tip. Form strips directly on baking sheet about 1″ thick and 5-6″ long. Carefully add strips to oil 5-6 pieces at a time and fry till golden, turning occasionally, about 3-4 minutes. Drain directly on cooling rack placed over lined baking sheet or on paper towels. Roll in sugar-cinnamon mixture and serve immediately. LOVE churros, you cant get decent ones in NYC. They remind me of my childhood. So glad you posted this recipe. Thanks Ana! Churros remind me of my childhood. So glad you posted this great recipe!